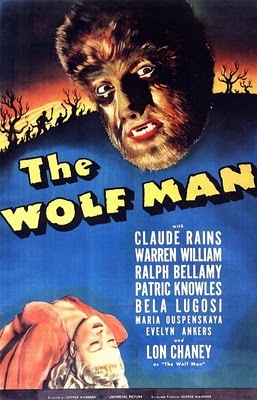 Essential plot rundown: A man returns home after 18 years, only to become a werewolf. I feel like it's going to be kind of hard to review this movie. It is 71 years old and I am a totally different audience than those whom originally saw it. There was nothing special about this movie. I imagine it was good for 1940's standards; but for me, as a modern audience, it doesn't hold up very well. 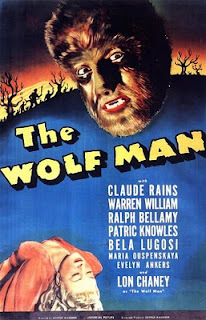 There is no real suspense and when he first changes into the wolf, it is a little anti climatic. And then it ends rather abruptly. 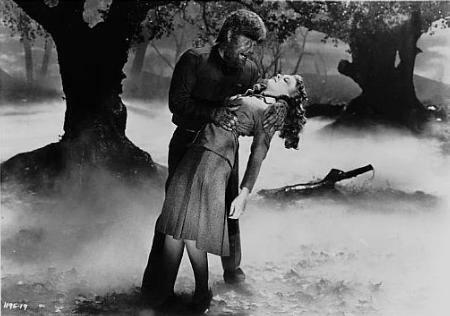 However, on the plus side, it sounded like they used real wolf audio recordings for the wolf man. So, this gave the creature a little more credibility. Overall, it's kind of a bland movie. I kept dozing off. (But then again, I've been tired all day, so it's probably not the movie's fault). I might have enjoyed it more if I was fully awake. Like I said, it was probably really well made for its time (which is why it's a classic); but it is lacking by modern standards. I would only recommend it if you are a movie connoisseur. Actually, I would recommend the 2010 remake, which I thought was actually kind of scary.